Aurora, IL: For years, the spirit and screeding level industry in North America has lacked meaningful innovation. Keson is aiming to change that through a new partnership with SOLA Measuring Tools. Together, they are bringing high quality and affordable levels, featuring SOLA’s FOCUS vial technology, to North America. Keson and SOLA are both family-owned, third generation businesses currently led by the grandsons of the company founders. SOLA started in 1949 with a leveling tool invented on the roof of the Scheyer family home in Goetzis, Austria. Keson started in 1968 in the basement of the Nosek family home in Berwyn, Illinois. Both companies are leaders in measuring and marking tools, offer complementary product lines, and share very similar values. Earlier this year, the Nosek and Scheyer families joined together to form a new company – Keson LLC. With a combined 120 years of market experience, the Keson and SOLA alliance builds upon Keson’s U.S. manufacturing, existing distribution network and strong relationships by adding SOLA’s European manufacturing expertise, precision-engineering and industry-leading technology. The SOLA branded levels will be positioned at the high-end of the market and will be the best-of-the-best, just as SOLA levels have been in Europe and around the world for the last 70 years. The Keson branded levels will be positioned as the best of the mid-tier levels, backed by SOLA technology and the reputation Keson has built over the last 50 years. All of these new levels will be made for Keson at one of SOLA’s two European manufacturing facilities in either Austria or Hungary. Keson LLC’s introduction of more than 60 different level products under the SOLA and Keson brands will be available for purchase through local distributors and specialty stores starting in the fall of 2018. About Keson LLC: Keson is a third generation, family-owned company founded in 1968 in the basement of the Nosek family home in Berwyn, Illinois. Now headquartered in Aurora, Illinois, Keson is well known for providing reliable, innovative and easy-to-use measuring and marking products to professional tradespeople who are passionate about their work. They believe outstanding service is just as important as outstanding products. Find out more at the Keson website. 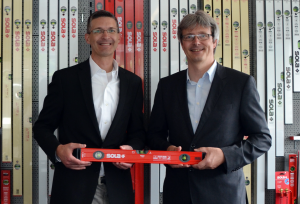 About SOLA-Messwerkzeuge GmbH: For 70 years the brand SOLA has meant high precision measuring and marking tools. 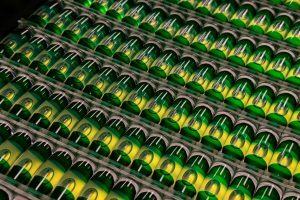 As market leader in premium spirit levels, the Austrian company manufactures a wide range of products, including screeding levels, folding rules, long and short tapes, squares, marking products, laser distance meters and a customized laser program. SOLA Measuring Tools is globally present in 70 countries around the world. 75% of all products are manufactured in Goetzis, Austria, where the headquarters and production facility are located. Find out more at: SOLA website.